The 10 World’s Tallest Skyscrapers!! the ten tallest skyscrapers around the world, which vary from the famous Burj Khalifa in Dubai, the all-new One World Trade Center in New York, and the Petronas Towers in Kuala Lumpur. Since its completion in 2010, Burj Khalifa—in the heart of downtown Dubai, claims to be the world’s tallest skyscraper. It stands at 2,717 feet tall and has 163 floors. The building is an example of international cooperation as Skidmore, Owings & Merrill of Chicago designed it, and Samsung C&T of South Korea was responsible for the engineering and consruction. The building is part of the long-standing initiative of the government of the United Arab Emirates to transform the economy from oil-based to more service-oriented and tourism-based. Of course, this was also to gain international recognition in the process. The building is a large-scale, mixed use development that includes 30,000 residences, nine hotels, seven acres of parkland, 19 residential towers, a shopping mall, and a 30-acre man-made lake. Shanghai Tower was completed in March 2014 after eight years of construction. It cost $4.2 billion, is 2,073 feet tall, and has 121 floors. It is expected to open to the public next year. The tower is one of three super-tall skyscrapers in the heart of Shanghai’s Luijiazui financial district. The first of these is the Jin Mao Tower, completed in 1999, and the adjacent one is the Shanghai World Financial Center, completed in 2008. American architectural firm Gensler designed the building to function as a hotel and office. There are a total of 320 hotel rooms and 1,100 parking spaces, and the views of Shanghai from the top floors are said to be unrivaled. Also known as Abraj Al Bait, the Makkah Royal Clock Tower Hotel is a government-owned building complex in Mecca, Saudi Arabia. Saudi Binladin Group, Saudi Arabia’s largest construction company, built the complex. German architect Mahmoud Bodo Rasch and his firm SL Rasch GmbH designed the clock tower. The dimensions of the clock face at the very top are 141 feet by 141 feet, making it the largest in the world. It has an incredible number of functions that speak to the culture and society of Saudi Arabia. The Royal Clock Tower includes residential apartments for permanent residents, hotel rooms for visitors, a conference center, a large prayer room capable of holding more than 10,000 people, a five-story shopping mall, an Islamic Museum, and a Lunar Observation Center to see the moon during the Holy Months. 21,000 white and green lights at the top of the clock flash to signal the time for prayers five times a day, which can be visible as far as 19 miles away. On special occasions, like the New Year, 16 bands of vertical light shoot up into the sky. After 9/11, a new World Trade Center was designed to become a statement, an emotional reaction, and the centerpiece of the New York skyline.One World Trade Center currently stands at 1,776 feet tall, and is the tallest building in the U.S. The 104-story tower is designed by David M. Childs of Skidmore, Owings & Merrill, and includes office space and an observation deck with unparalleled views of Manhattan. Then there are the restaurants and broadcast and antennae facilities. For all the obvious reasons, the designers claim they have emphasized life-safety systems and sustainability in their design, integrating renewable energy, dense fireproofing, extra-wide pressurized stairs, interior daylighting, reuse of rainwater, and recycled construction debris and materials. It currently includes the National September 11 Memorial & Museum and the redesigned World Trade Center Transportation Hub. In the future, there will also be a Performing Arts Center, as well as a total of five other skyscrapers. Construction for the 112-story CTF Finance Centre began in 2010, and the estimated completion date is in 2016. The architecture firm Kohn Pedersen Fox Associates is creating the building on behalf of Chow Tai Fook Enterprises. 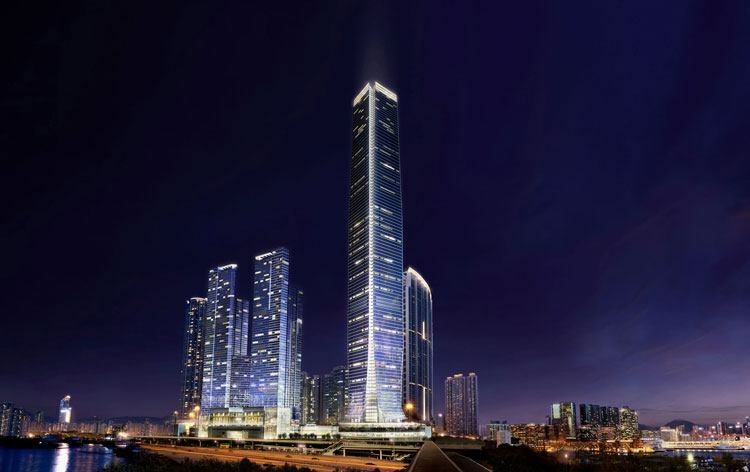 The building has already topped out at 1,739 feet, and is located in Guangzhou’s Tianhe District. White netting of glazed terra cotta, a traditional Chinese material, encases the exterior of the building. Energy conservation is also emphasized at the top of the tower, which sets back at four angled parapets and allows for sky terraces and skylights to illuminate the interior spaces below. The mixed-use urban complex has four major transition points at which its function changes from offices to apartments to hotel rooms. Underground, the building will have connections to public transportation, as well as second-level bridges to connect to adjacent buildings. 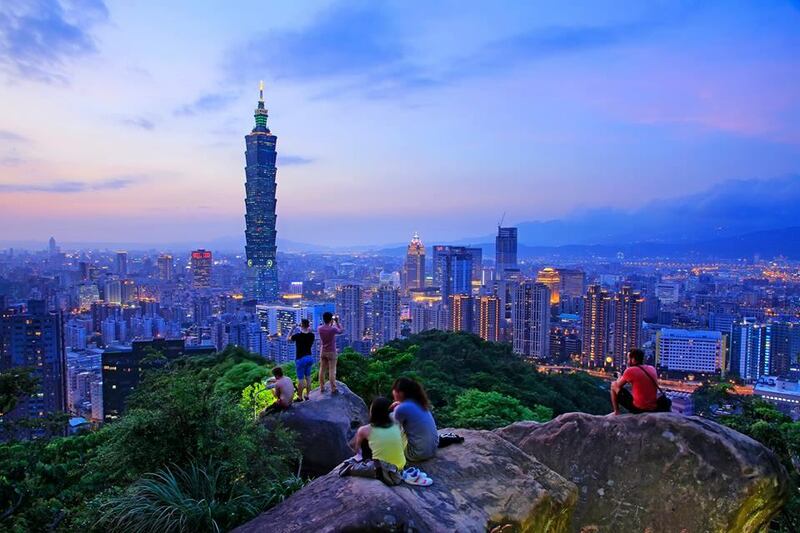 Standing at 1,667 feet with its characteristic blue-green glass curtain walls, Taipei 101 is Taiwan’s modern icon: the skyscraper appears in international broadcasts and in countless travel brochures. It was designed by C. Y. Lee & Partners and constructed by KTRT Joint Venture to withstand the typhoon winds and earthquake tremors common in that area. The building has both flexibility to prevent structural damage and resistance to ensure comfort and protection. A steel pendulum that is suspended from the 92nd to the 87th floor sways to offset the movements in the building created by strong gusts, serving as a tuned mass damper. There are also many symbolic features of the building; a small example is that its 101 floors symbolize the renewal of time. The building has also been awarded by Leadership in Energy and Environmental Design (LEED) as the tallest and largest green building in the world. New Year’s Eve is a perfect time to visit this international landmark, as the fireworks display lights up the structure. The Shanghai World Financial Center (SWFC) stands at 1,614 feet, has 101 floors, and is one of the world’s tallest mixed-use urban development projects. It serves as a major center of international finance and trade and consists of offices, hotels, conference rooms, observation decks, and ground-floor shopping malls. The original design to reduce the stresses of wind pressure included a circular opening at the peak. This concept was met with opposition, as it was similar to the rising sun design of the Japanese flag, and the tower’s distinctive trapezoid aperture at the peak was born. The building’s air-conditioning controls feature China’s first Variable Air Volume (VAV) system, in which room temperatures inside the building are sensed and adjusted to achieve maximum air-conditioning cost savings. The design also includes an effective diagonal-braced frame that carries the compressive and bending forces of wind loads, people in the building, and heavy equipment down to the ground. The International Commerce Centre in Hong Kong houses 118 stories of hotel rooms, commercial offices, shopping malls, five-star restaurants, and an observatory called Sky100. The height had to be scaled down due to regulations that prohibit buildings to be taller than the surrounding mountains, and the International Commerce Center currently stands at 1,587 feet. It also holds the Guinness World Record for the largest light and sound show on a single building. These light and music shows happen twice nightly on a 54,000 square feet platform. The Petronas Tower 1 and 2 held the record as the tallest buildings in the world from 1998 to 2004 and remain the tallest twin towers in the world. 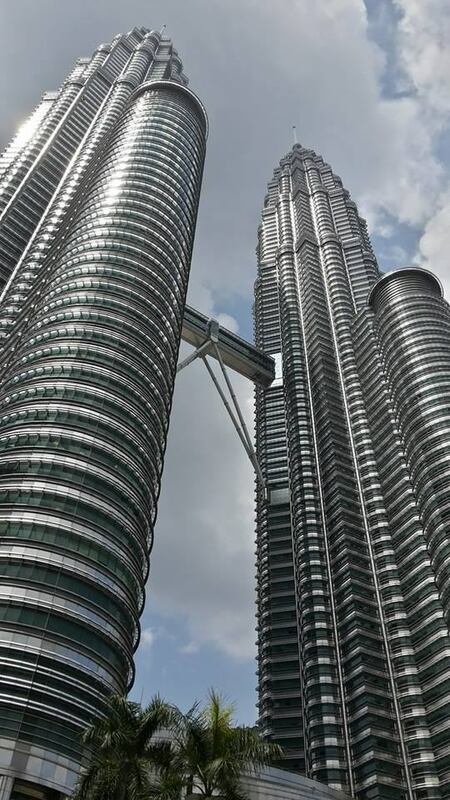 These two buildings, completed on January 1, 1996, are the landmarks of Kuala Lumpur in Malaysia. At first, the towers were built on Kuala Lumpur’s racetrack, but that was found to have an unstable foundation site on the edge of a cliff with decayed limestone and soft rock. The entire site was then moved 200 feet to allow the buildings to sit entirely on the soft rock. The design included steel and glass façades to reflect the predominant Muslim following in Malaysia and resemble Islamic art motifs. The interiors of the towers continue to highlight Malaysian cultural inspiration through traditional fabric and carvings. There is a double decker skybridge on the 41st and 42nd floors, the tallest skybridge in the world, which connects the two towers and is open to the public. Tickets are limited to about 1,000 people a day, however, and are sold on a first-come first-served basis. The 1999 film Entrapment was filmed at the skybridge, and on April 15, 1999, Felix Baumgartner set the world record for BASE jumping by jumping off a window cleaning crane on the towers. all of this buildings are amazing i loved to go again to visit them all !!!! !